Our Rainfall Calculator is the perfect tool for anyone who needs to calculate the correct size of gutters and downpipes. 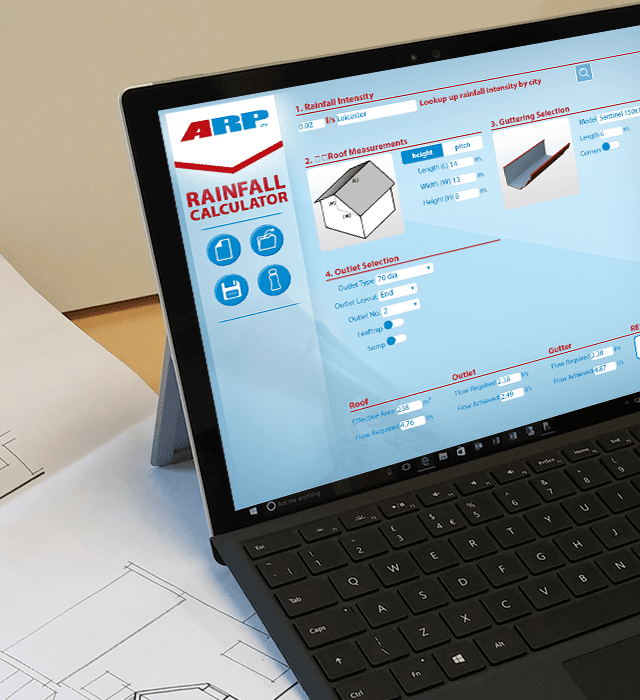 Our Rainfall Calculator has been designed in accordance with BS EN 12056:3:2000 and will enable you to correctly size gutters and downpipes for your project. Outlet position and leaf traps. To download the free rainfall calculator, please complete the form below.